Matt Oesterling and the team at Oesterling Chimney Sweep are experienced chimney professionals, having worked in the industry for more than two decades. When you give us a call, we’ll bring our technical knowhow and expertise to make sure your chimney is cleaned or repaired properly. We also offer a range of installation services, including wood and gas stoves installs, hearth products, and chimney inserts and liners. For more than two decades, we have offered the professional chimney sweep and repair services to customers in Batesville, Columbus and throughout Southeast Indiana. 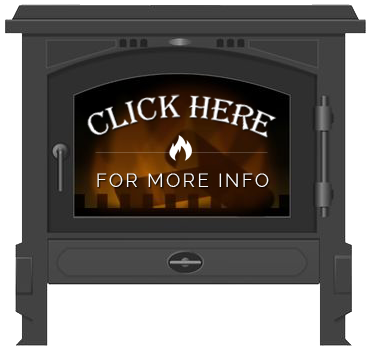 Our team of employees is extensively trained and fully experienced with fixing and installing a diverse array of stove and chimney products and issues, and work with a safety-conscious approach to completing jobs with the utmost efficiency. We work with many of the leading brands, including Buck, Jotul, Regency and Blaze King, and have experience in cleaning and repairing wood-burning fireplaces, installing wood or gas log burners and performing masonry work or repairs on chimneys. Owner Matt Oesterling is CSIA-certified and an NFI-certified chimney sweep. He makes sure every employee is an expert in the field before they become a part of our team. Safety and quality are our top priorities in ensuring that you receive the highest caliber of service possible. Oesterling Chimney Sweep’s services cover the greater Southeast Indiana region, including Columbus and Batesville. We have proudly served customers in these communities for more than two decades, and have developed a reputation as a trusted and reliable name in chimney sweeping and repair. We are a small team that cares for our neighbors and are passionate about the work we do. There is no project too complex, too large or too detailed for Oesterling Chimney Sweep. We are proud of the work we have done already for our customers, and look forward to continue developing that reputation working for you. For more information on chimney sweeping and chimney repair services or to schedule service at your home, call us at 812-934-3512 or 812-372-3512 today, or click here to request service.